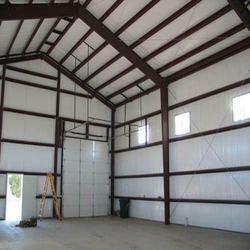 Our product range includes a wide range of cold roll formed steel building and prefab steel building. Over the period of time, we have attained proficiency in rendering unmatched Cold Roll Formed Steel Building to our esteemed clients. The services we offer are planned and executed under the guidance of adept professionals, who possess rich expertise in this domain. Clients demand our building services for health care centers, schools, defense shelters mass housing and relief.